About Sorrel: Sorrel has been performing in theatre and music since she was a child, including with the Houston Grand Opera, and has been a director and teacher in theatre, private voice, and choirs for over 20 years. She studied vocal performance at The Eastman School of Music and The Ohio State University and has performed in numerous vocal and theatre groups across the DFW Metroplex. She began performing and volunteering at The ACT in 2012 in the role of Mrs. Fezziwig and as the music director for A Christmas Carol. Since then, she has music directed and/or stage managed many mainstage productions at The ACT, and became the Director of Education in 2016. Sorrel believes passionately in the power of the performing arts to transform the lives of young people and bring them into a better understanding of themselves and the world around them. She looks forward to meeting your children in classes! About Alex: Alex came to The ACT for the first time in Fall 2015, as the director for Into the Woods Jr. Most recently, Alex directed The Music Man Jr., which received the honor of being named the Best Show of our 18th Season. Alex holds a Bachelor of Music degree with an emphasis in Musical Theater from the prestigious Bass School of Music at Oklahoma City University. He has trained with some of the country's top voice and theatre professionals and has worked with performers in national tours, concerts, Summerstock, and regional theaters across the country. About Jack: Jack is the Director of Special Programming here at The ACT! He first joined The ACT as a performer at the age of 8 and is so glad to be back directing, choreographing, teaching, and more! Jack has over 15 years of experience in acting, singing, and dancing. He has performed at several theatres in the DFW area, including Casa Manaña, Artisan Center Theatre, Garland Civic Theatre, Greater Lewisville Community Theatre, and Frisco Community Theatre. 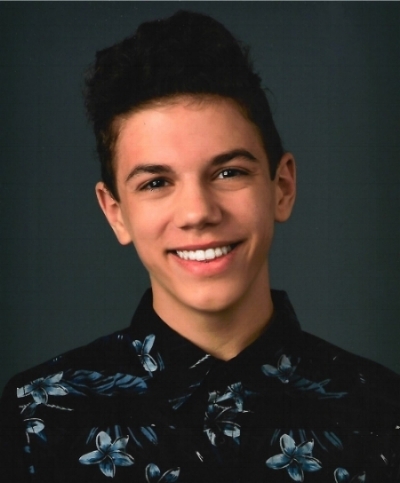 Jack is beyond thrilled to get to share his passion for the stage and join The ACT Academy family! About Lesa: Lesa learned to sew at the age of nine and made most of her own clothes through high school, including formals for prom. She taught a beginning sewing class for her homeschool co-op for several years. Coming to The ACT in 2006, her first volunteer job was to help with costumes. In 2015, Lesa was the costume mistress at The ACT for My Son Pinocchio, which was directed by her son Jack. Since that time, she has costumed Elf Jr., Seussical KIDS, Aristocats KIDS and Singin’ in the Rain Jr. Lesa loves to sew and sees that the skill has been declining among the last three generations! She wants to share her love of this art form and help “fuel the fire” to bring it back. Not only useful for mending tasks, it can be an outlet for creativity, especially when used in the theatre arts! About Hannah: More info coming soon! About Lindsey: Lindsey is an East Texas native who now calls Dallas home! A returning teacher for the ACT Academy, she holds a BFA in Theatre Studies from The University of Texas at Arlington. Lindsey has worked with several companies and theatres around the DFW including Stage West and CAST. Lindsey has a passion for sharing her love of theatre to future generations and is ecstatic to be back working with her ACT family! About James: More info coming soon! About Lara: Lara holds a Masters of Music degree from Texas State University, specializing in vocal performance and education. Although her musical journey began in the world of opera, the adventure has lead to teaching college voice and nurturing a private voice studio. As the vocal director for Valley Creek Church-Denton campus, she also uses her gift to grow the next generation of worship leaders! About Rhiannon: All of her life, Rhiannon has held a passion for the arts, whether onstage or off. Rhiannon has been acting since the ripe age of three, but first came to The ACT hen she was fourteen. Since then, she has worked backstage, on tech, and with summer musical theatre camps. 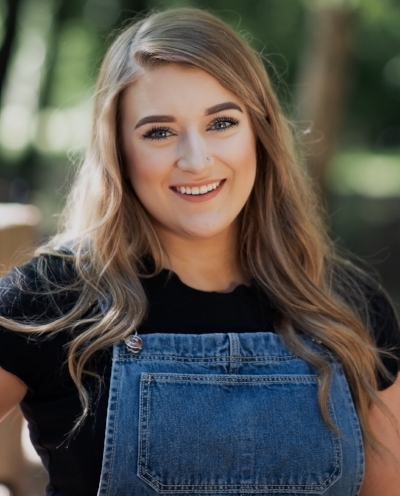 Rhiannon also works with other theatres as an actor, and has received training in theatre from professionals at the National Student Leadership Conference in New York City. 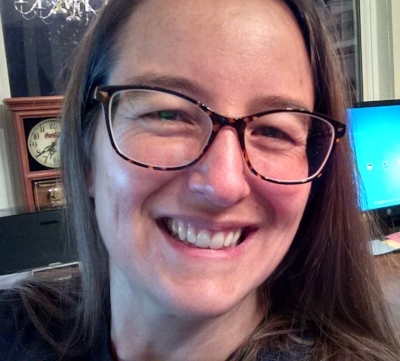 She wants to foster an appreciation for character development and authentic connection to the arts within children and is excited to continue teaching for the ACT Academy! About Samuel: Samuel Moran is a college student at Southwestern University, where he is pursuing degrees in Musical Theatre and Journalism. He graduated from Coram Deo Academy in May 2018 and has been involved at the ACT since 2012! Recently, he performed in the Teen Intensive Grease: School Version, as Cat in Honk! Jr., in James and the Giant Peach Jr. as Earthworm, in Seussical KIDS as Horton, and in GTK Once Upon a Mattress. as Sir. Harry. Other major roles at The ACT have included Buddy in Elf Jr., Tommy in Music Man Jr., The Tin Man in The Wizard of Oz Young Performers Edition, Jack in Into the Woods Jr., Donkey in Shrek Jr., and Louie in Captain Louie Jr. In addition to 20+ ACT mainstage productions, he has also performed in productions at Lyric Stage in Irving and Casa Manana in Fort Worth. Samuel has had a passion for theatre since he was little and intends to continue it as a major in college this fall! He is grateful for the opportunity to develop the skills of your child and is honored to have been a part of their journey in the performing arts. About Eliana: Born and raised in the Los Angeles area, Eliana began her dance training at the age of 3, graduated from the Commercial Dance Department at the Orange County HS of the Arts (OCHSA), and was a 4 year member of the National Champion Long Beach State Dance Team. While earning her degrees in Film and Spanish at CSULB, she returned to OCHSA as a dance instructor, which also allowed her to be mentored by top choreographers in Los Angela. She was also a dancer for a modern/contemporary company called The Brockus Project, taught summer Dance Team camps for US Spirit Leaders, and became a Los Angeles Rams Cheerleader. She seized the opportunity to relocate to St. Louis with the Rams to develop a new Cheerleading program, providing their choreography, scheduling public appearances, styling swimsuit calendar photo shoots, and coordinating GameDay entertainment. She also co-founded the Jr. Rams Cheerleader program. Eliana stepped away from dance and the entertainment industry to raise her children, but discovered The ACT in Fall 2017 while looking for an activity for her daughter. It didn't take long to reignite her love for the arts and she is excited to be back and actively engaged in choreography for several of our mainstage shows! Eliana feels passionately about pushing her performers to build their dance vocabulary, challenges them with stylized choreography, and is a stickler for solid technique. She looks forward to building foundational dance skills in ACT Academy dancers that will build their confidence and aid them in their musical theater pursuits. About Angela: Angela is the General Production Manager and Resident Stage Manager at The ACT and has stage managed, directed, taught, and worked tech for ACT shows and camps since 2004. She earned a BBA from Trinity University in Illinois, studying the odd combination of Management, Accounting, and Fine Arts. She has been involved in the performing arts since she was a child, directing her first show at the age of 17! In addition to her own multiple roles on production teams, she has also trained most of the adult stage managers at the theatre. She is especially well known, however, for her work with ACT teens, instilling in many of them (as well as in adult volunteers) a true love for the art and responsibility of working in behind-the-scenes theatre positions. After more than 40 productions at The ACT, she is excited to share her experience and knowledge at our theatre, training the the next generation of theatre arts lovers! About Shaun: Shaun first joined The Actors Conservatory Theatre in 2004 as a 10 year old actor! Since then, he has performed in many shows, including at The ACT in 2015 as the Beast in Beauty & The Beast Jr. While earning his bachelors degree in music at SAGU in Waxahachie, he taught private and class voice and piano lessons, as well as acting camps. He was also a part of several traveling music teams, performing all across the US and overseas. He began teaching at the ACT Academy in Spring 2017 and is excited for this next semester! About Jenna: Jenna has performed at the ACT since 2010 and graduated from Decatur High School in May of 2018. She recently performed as Miss Prism in The Importance of Being Earnest, Maggie Pie in Honk! Jr., Miss Andrew in Mary Poppins Jr., and Mrs. Mayor in Seussical KIDS. She has also worked behind the scenes for 15+ ACT productions/camps. Jenna plans to pursue theatre education in college and will be talking classes at NCTC in the fall. Theatre is her passion and she is so excited to share her love for the arts with your children through the ACT Academy! About Rebekkah: Rebekkah grew up in the Dallas area and went to Belhaven University in Jackson, MS where she earned her Bachelor's degree in Biblical Studies. She has been teaching dance since 2003 and started dancing 20 years ago! She taught dance at a co-op in Coppell for 8 years before going to college. Since college, she has been teaching dance and choreographing at places like The ACT and Rock Pointe Church. With college choir and community theatre at Theatre Coppell (A Christmas Carol and Over the River and Through the Woods), as well as the role of Marie in The Nutcracker at The ACT in December 2017, she has really enjoyed growing in the realm of singing, acting, and of course: more dancing! She is so excited join The ACT family as a teacher!